Innovate UK, the public body charged with stimulating business-led innovation, has announced it will invest £400,000 into the creation of KQ Labs, a new accelerator program for early-stage startups in the biomedical and data science sectors, in order to improve the state of healthcare technology as the UK's population grows and ages. KQ Labs -- the KQ stands for "knowledge quarter" -- will select ten startups and invest £40,000 into each, putting them on an intense 16 week program to equip them for the demands of the sector. This will include workshops on digital health and drug discovery, the applications of genomics in the medical field, patient stratification -- division of your patients into subgroups in clinical trials -- and imaging analysis. 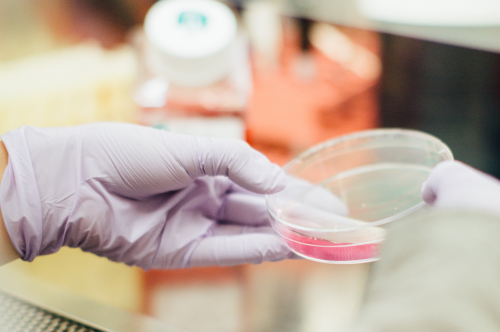 Health Data Research UK and Genomics England are two of the organizations that will be training and equipping the participating startups in their missions to revolutionize health and medtech in the UK. The accelerator will be led and run by the Francis Crick Institute, a globally recognized leader in biomedical research that is known for its continuous work into the links between biology, health, and disease. It has annual funding of over £100 million and more than 1,000 scientists at its base near King's Cross, London, making it the largest biomedical research facility in Europe. One of the main areas of research in healthcare tech is devoted to artificial intelligence and how it can be used to enable humans to live longer, happier, healthier lives. In this context, the companies participating in the program could use AI to detect illnesses quicker, therefore preventing infections from getting worse or treating existing, long-term conditions. Dr Veronique Birault, head of translation at the Crick, said: "The KQ Labs accelerator represents a unique opportunity to catalyze the creation of a world-class sustainable digital health ecosystem based in London's Knowledge Quarter. The KQ Labs' vision and program align with the Crick strategic priorities to collaborate creatively and accelerate translation for health and wealth." Chris Sawyer, Innovation Lead at Digital Health at Innovate UK, said: "The KQ Labs is a fantastic initiative, aligned perfectly with Innovate UK's objective to support UK business growth in the health and life sciences sector." The deadline to apply is noon on Sunday October 7. Interested entrepreneurs and startups can find out more by visiting the KQ Labs website.